The augmented and virtual reality market is expected to reach $150 billion in size by 2020, according to Digi-Capital, driven by the proliferation of virtual reality devices like Facebook Inc.’s (NASDAQ: FB) Oculus Rift and Sony Corp.’s (NYSE: SNE) Project Morpheus. Next Galaxy Corp. (OTC: NXGA) is a leading technology and content solutions company developing dynamic, innovative consumer virtual reality experiences and technology. Through its next generation CEEK platform, it provides fully immersive entertainment and educational social virtual reality experiences featuring a combination of live action and 3D content. The company has already signed a number of agreements with celebrities, like University of Kentucky basketball coach John Calipari, and institutions like the Miami Children’s Hospital. Mary Spio, President and Founder of Next Galaxy, is best known for creating and holding patents on the technology used to digitally release feature films. With a career of pushing the boundaries at companies like Boeing (NYSE: BA), she was named alongside Oprah in NBC News and the GRIO’s 100 History Makers in the Making. Ms. Spio recently sat down with SECFilings.com to discuss Next Galaxy and its plans to bring virtual reality to the masses. Can you provide a brief high-level overview of the company? Next Galaxy is a technology and content solutions company focused on making the virtual reality experience as simple as turning on the television. Since the company’s formation in June 2014, we have applied our extensive, decade long expertise in digital media creation and delivery to aggressively advance our full-immersive CEEK social virtual reality content hub and CEEKARS – the first 4D audio headphones and VR controller that is ideal for virtual reality. Next Galaxy trades over-the-counter with the ticker symbol “NXGA”. The company was formed through the acquisition of all the intellectual property that I developed, along with patents relating to the social virtual reality, audio and digital media creation, management and distribution. First steps are always the hardest – can you tell us about the process that led Next Galaxy to where it is today? Although virtual reality is a new medium to most people, our development in this new space was made quite a lot easier because of our previous decade and a half long experience in innovative and award-winning content creation and distribution. Our team has strong roots in digital content creation, distribution and marketing, including experience developing an online video distribution platform and content creation for the likes of Microsoft XBOX, Coca Cola, Tribune News Company (parent of LA Times), Toyota and many other brands. We have built a scalable and robust content delivery infrastructure that delivers millions of pieces of content to users by providing content creators with content management, analytics, and commerce tools to distribute and monetize that content to millions of users. At this point, it seems, most people have probably seen virtual reality in the headlines and have formed an opinion on the industry and where it is heading. In general, do you think the people’s perceptions of the industry are accurate? When people think of virtual reality, and that includes a lot of people working in the industry, they generally think of gaming, or single experiences, like riding a roller coaster or a shark attack. At Next Galaxy, our goal is to open virtual reality to the world by offering the kind of content that everyone enjoys today and every day – be it entertainment, sports, documentaries – fully immersed in the middle of the action and always with the best seat in the house. You can be on stage with the star, turn around feel the roar of the crowd – whatever it is, we want you to live the experience with the sound to match. It is also a common misconception that you need an Oculus in order to experience virtual reality. The Oculus Rift definitely brought virtual reality to the forefront. There would be no industry without the Facebook acquisition; however, it is not the only device out there for virtual reality. There are a slew of virtual reality headsets out there ranging in prices from $25 and up and they can give you a pretty good idea of what it’s like. I recommend you try out virtual reality using our complete virtual reality set at www.ceekars.com to – you receive a free virtual reality headset with your order. The other prevalent misconception is that virtual reality is not ready for consumers. That’s also not true, virtual reality is ready; we just need more content. When you experience headsets like VRONE from Zeiss, GEAR VR from Samsung and HTC’s Vive among others, the question becomes “how quickly and where can I find content”, and nothing else. It’s ready. How does Next Galaxy fit into this industry and what roles do you see playing to advance the technology? There are three basic elements to creating the complete media experience. Currently, everyone seems to be focusing on the visual headset. Next Galaxy’s focus is on creating great VR content as well as the first 4D headphones created specifically for immersive VR on mobile devices and PC. So, we provide the two missing elements needed to complete the virtual reality experience. I like to say experiencing virtual reality without our CEEKARS headphone is like watching a 3D movie without the glasses – the experience is simply incomplete. We coined the term “4D Audio” to represent 3D Audio plus haptic feedback. Our patent-pending audio technology allows you to feel sound, which makes the experience even more realistic. It is the next generation in sound. 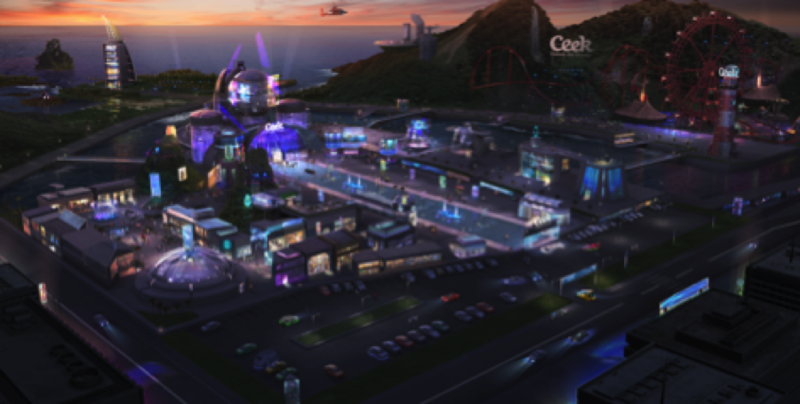 When you access CEEK, which will soon be available as a mobile VR app you enter a Virtual City with everything a city has – i.e. an entertainment hotspot including concert halls, cineplexes, sports stadium, racetracks, hangouts and more, plus schools, hospitals, shopping centers and more. As a subscriber – and it’s free to join – you first go to the Control Center where you are teleported wherever you desire to go. From there, you can experience content fully immersed in live action or in a 3D environment. In all scenarios, you live the experience as if you’re actually there! So, is it fair to say that Next Galaxy is a bit of a first-mover? How is the company positioned to maintain the leadership advantage? What would you say is the biggest distinction between Next Galaxy and the handful of companies that are creating content for this space? A handful of production companies are calling their productions - platforms, but they are not – they are simply content on a nice user interface (“UI”) without the tried and true infrastructure to properly deliver, manage and most importantly scale content to millions or possibly billions of users. The biggest distinction between what we have and are building versus other solutions is that we are a digital media technology company building a virtual reality content distribution platform for our content as well as that of others. I have been on teams building and delivering large scale content since 2000 for the likes of HBO, Disney, Lucas Films and countless world class organizations starting with satellite delivery as a deep space engineer, then on to online delivery and now virtual reality via mobile which is the next computing, communications and media delivery platform. We are evolving with content. My patents for digital content delivery, which were commercialized with Boeing date as far back 2003, [US Patent 7,065,355 – High Data Rate Transmissions] are among the first patents in this area. With the increasing number of virtual reality headsets Next Galaxy is going to become indispensable because I can almost guarantee that there isn’t a single company in this field that already has a platform like ours, has the successful track record delivering over a BILLION pieces, and terabytes of video content. What we are doing at Next Galaxy is not trivial, we are moving at breakneck speed because we have put together a team with exceptional expertise in areas that others are trying to figure out. That experience and expertise is what’s going to enable us to deliver a superior experience and performance in how virtual reality content is optimized and delivered. We are aligning ourselves with some of the industry best, biggest and brightest, from companies like EON to device makers, advertising agencies, artists, producers, labels and studios. We have been one of the first virtual reality companies to generate revenue in this space with VR training in Healthcare, and we’re also active in education, two of the largest enterprise applications around, in addition to our CEEK entertainment platform and CEEKARS. One very important and exciting factor we believe will drive success of Next Galaxy’s mission is that there are some 30 companies or so working at building visual headsets for virtual reality. There’s only one company, Next Galaxy, with the CEEK platform devoted to content, so that all those people buying headsets can look at a variety of VR content in a device agnostic way, meaning that you can use any device to access content as long as you’re using our app. You could say that those companies are working at inviting subscribers for our CEEK platform. Their efforts will help in exponentially multiplying our subscriber growth. We are only targeting close to five million subscribers in our first year in order to meet our objectives. With billions of smartphone users this is very doable. Thank you for taking the time to speak with us today. How can we try virtual reality? For anyone who wants to try virtual reality, but might not want to invest hundreds of dollars for a VR headset right away, we have a Google-inspired VR headset that comes FREE with our CEEKARS 4D Headphones which retails for $199. You could also pick up just the VR Headset for $25 for use with your smartphone on Ceekars.com. The Google VR Headset is a game changer for the industry and us. It allows Next Galaxy to offer everything you need to experience VR in one nice and simple package. Next Galaxy Corporation is a leading developer of innovative content solutions and fully Immersive Consumer Virtual Reality technology. The Company's flagship consumer products in development are CEEKARS – the world’s first 4D Audio Headphones for immersive environments and CEEK, a next-generation fully immersive entertainment and educational social virtual reality platform. 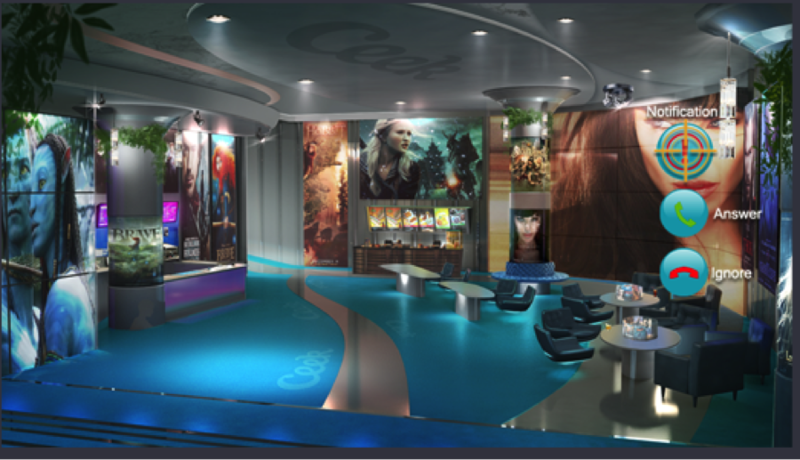 Next Galaxy's CEEK simulates the communal experience of attending events, such as concerts, sporting events, movies or conferences through Virtual Reality. For further information, visit www.nextgalaxycorp.com.